Say.So created a proprietary, patent-pending, persistent browser application and portal called the INsights app. The content, look, and economy can easily be customized to fit the needs of any brand. 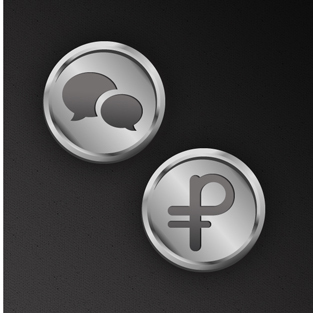 Each app uses a custom gamified economy where users can earn by completing polls, surveys and missions. 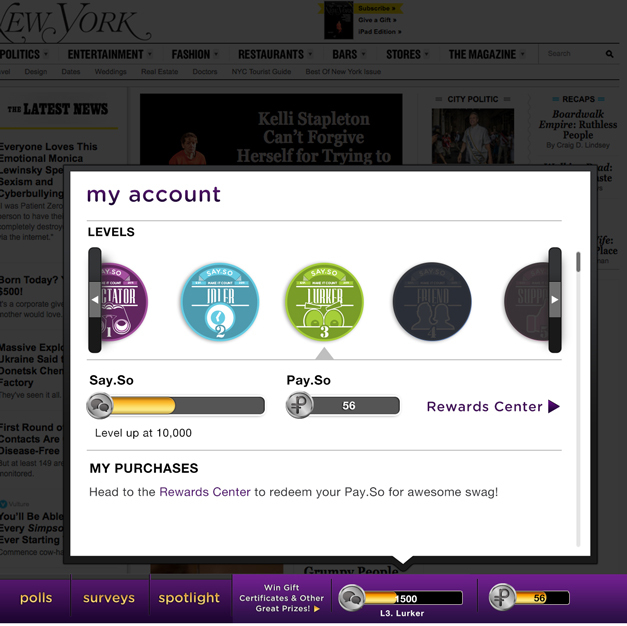 The points earned can in turn be used to redeem physical and virtual goods in the rewards center. I designed the game mechanics, user experince, badges and interface for our in-house apps as well as for white-label products. Emmy Say.So is an example of reskinning the Say.So app to fit an existing brand. 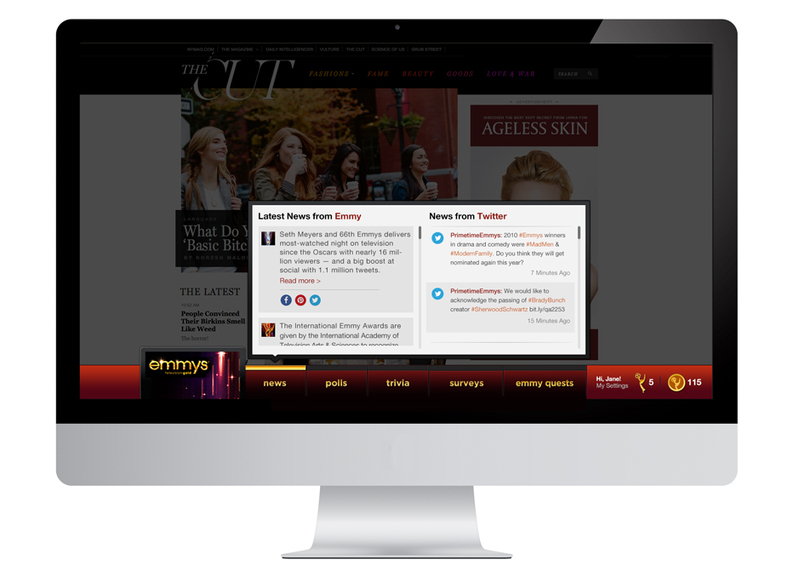 The Emmy's were able to recruit users and gather data by offering polls, quizzes, missions and exclusive access to Emmy news. 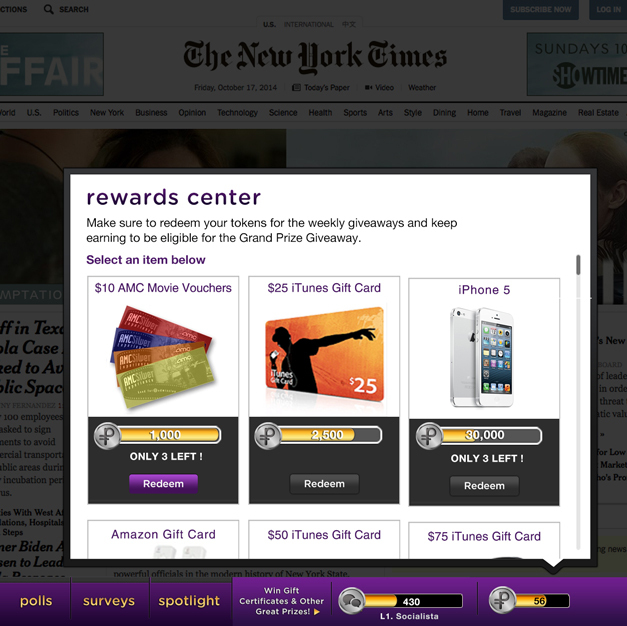 All this data and real-time feedback help to inform Emmy's marketing decisions. 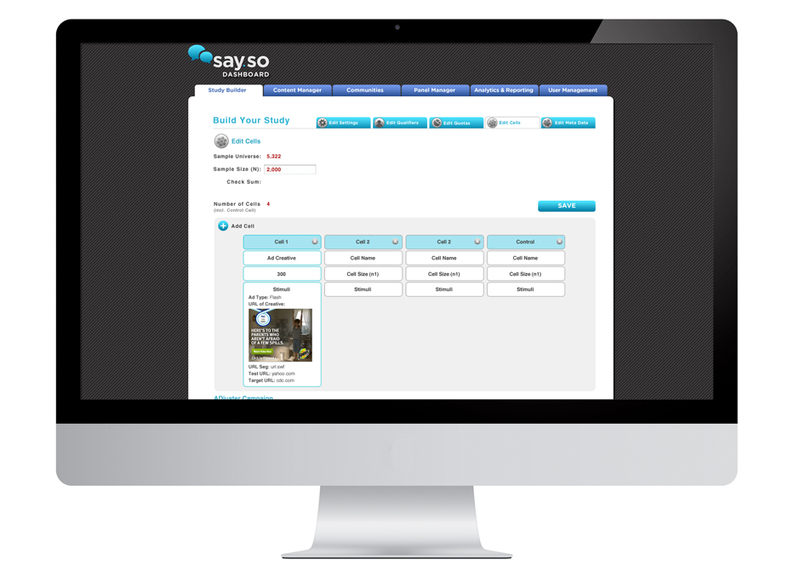 The Say.So analytics dashboard is the backbone of the platform. 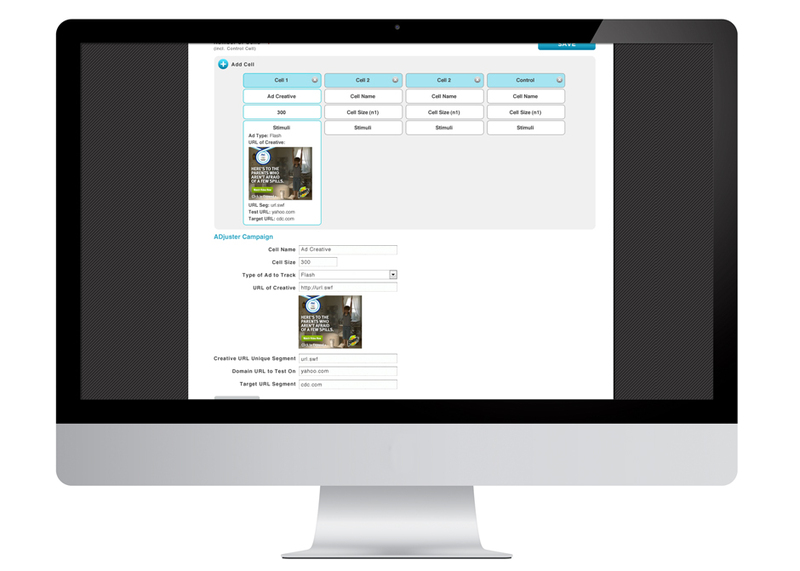 Clients can run reports, search queries and generally parse data and manage their campaigns in a way that is userful. I designed the UX and UI for the dashboard.